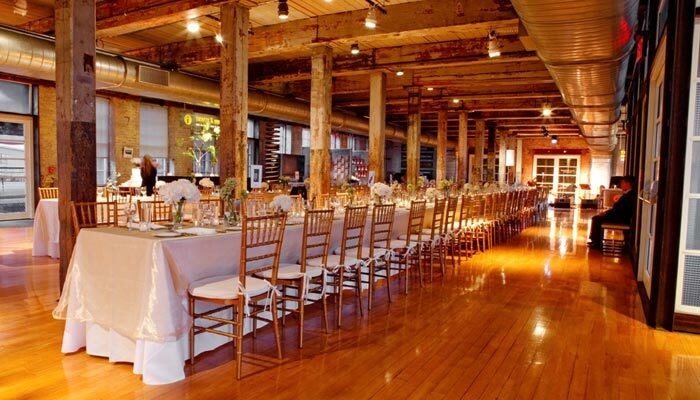 MASS MoCA offers some of the most dramatic and creative spaces in Berkshire County to host your wedding in the Berkshires – both indoors and outdoors. This 19th-century renovated factory setting (on the National Register of Historic Places), now home to an ever-changing collection of exciting contemporary art, provides a unique atmosphere while allowing you to customize the space to fit your own vision. Selecting MASS MoCA as a site for your wedding reception, ceremony, seated dinner, or other special occasion is a unique way to support MASS MoCA while ensuring that your event has a distinctive cultural dimension.